I remember my first encounter with rhubarb. It was at the Courthouse farmers market and I was totally unsure of the vegetable fruit (by U.S. law since 1947). 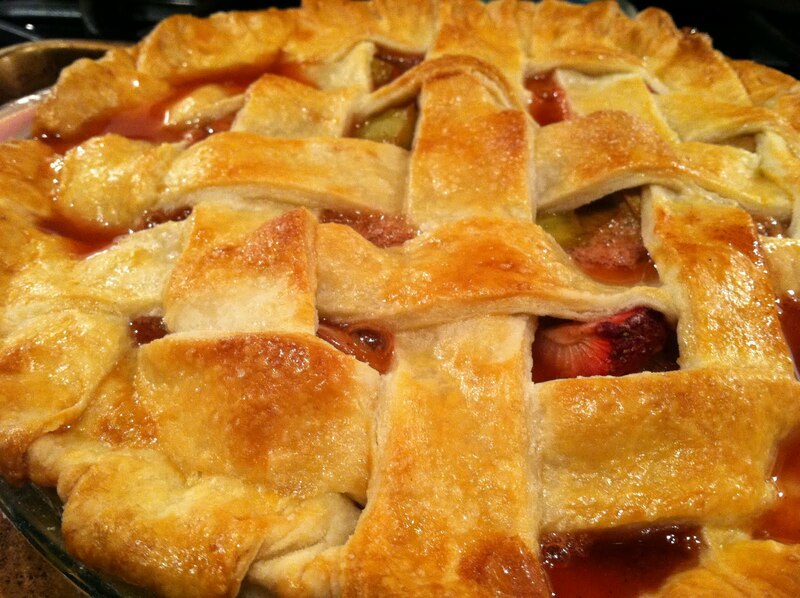 After doing a little research, it showed up in many recipes with pies and strawberries and since I like both it was put on the "to bake" list. Rhubarb is used in medicine as a laxative, and in the culinary world to add a tart flavor. Be careful to only eat the stalk, as the leaves are quite toxic. If consumed, rhubarb leaves could lead to abdominal pain and nausea, and even death. 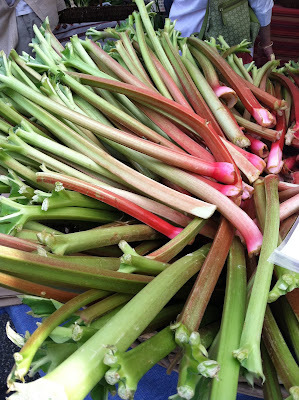 Last weekend, I bought fresh rhubarb stalks at the Dupont farmers market. When picking your stalks, keep in mind that both the pink and green ones are great for baking. I know the bright pink ones are prettier, but a mix will do. Also, try to pick stalks that are firm, not flimsy. Look at that crust. Amazing. *I've fallen lazy to store bought pie crusts in the past, but when I went to the frozen aisle the other blogger gave me the "you aren't going to make it from scratch?" look. Luckily, this recipe was fabulous and incredibly easy to follow. 1. 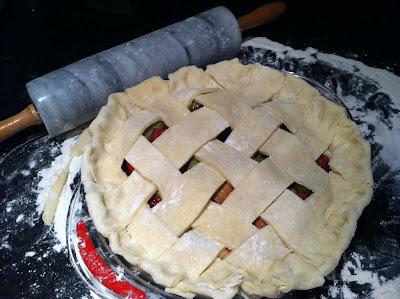 If you are making homemade pie crust, follow smittenkitchen's tutorial and gorgeous photos. To mix the dough, I used my hands since I lacked a pastry cutter. It was the best pie crust I've ever made. If you are not, lay one layer of crust in a pie pan. 2. Preheat the oven to 400°F. I know it takes time to creep up to that temperature, but it should be ready by the time you assemble the pie. 3. Make the strawberry-rhubarb filling. Combine all filling ingredients listed above (except for the egg, that's for later) in a large bowl and toss gently to blend. 4. Fill pie pan with filling. Lay top crust over, careful to crimp the edges with the bottom pie crust and trim extra dough. 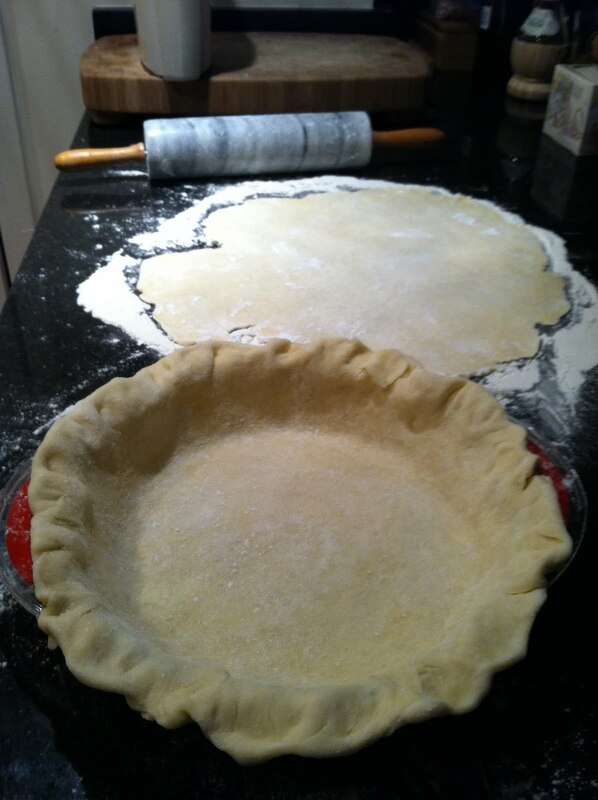 Cut 3-1/4 inch slits in the center of the top pie crust. 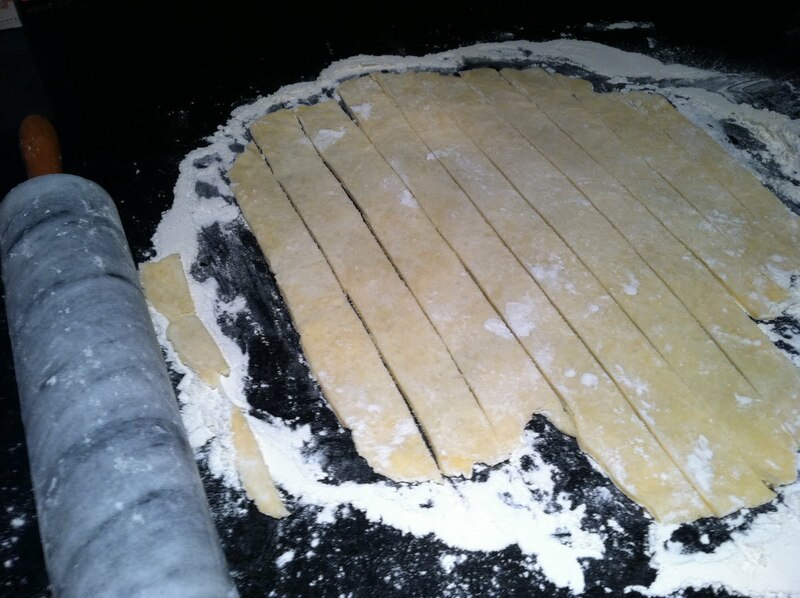 If you are creating a lattice top, cut strips of dough and arrange in a cross-over pattern (see picture below). 5. Brush the entire top crust with the egg wash. Make sure all the nooks and crannies are covered for best results. 6. Place your pie pan on a baking sheet (you'll thank me for this when juices bubble from the pie). Bake at 400 degrees F for 20 minutes (adjust according to your own oven), then reduce the temperature to 350 degrees F for another 25 minutes, until crust is a beautiful golden brown. Transfer the pie to a rack and allow to cool completely for serving.